Following their recent big release called Dragon Wins, NextGen gave returned to a popular theme for their newest slot. 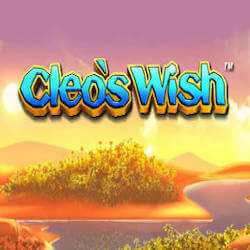 Cleo’s Wish is set in ancient Egypt and it stars the legendary queen of the Nile, Cleopatra as the lead character. NextGen have clearly had a lot of fun making this slot as it not only is loaded with personality, but the additional bonus features work great to give players a fun to play slot experience with some big potential wins. Even though there is a lot of ancient imagery, this slot still feels like it is set in a fantasy world. The reels have lush backgrounds set at different times of the day. You can still see the harsh desert peek out of the green scenery but overall NextGen have created a setting like no other. They weren’t as original with their reel symbols however and you will see the usual collection of playing card symbols, ankhs, golden bracelets and scarabs that seem to pop up in every Egyptian themed slot title. When it comes to the actual slot action there is only positive things to say here. A 5×3 reel design is covered by 25 paylines. While the set Return to Player value is a bit low at 95,12% the bonus features still trigger quite regularly and you can push to hit a 200 000 coin jackpot prize. While you are playing the beautiful queen Cleo will be by your side. She is a great addition to the on reel action as it’s always nice when developers actually add their game’s main character to the on screen fun. This slot uses wilds in almost all of its special bonus games. Firstly there is the randomly awarded wild reels and added wilds features. Either random wild icons will be added to your reels after a spin or Cleo can make entire reels wild one by one adding even more rewarding potential for players. The free spins feature is activated by landing 3 scatter symbols on the reels. Players will either activate Cleo’s Parade or they will activate Eternal Riches. 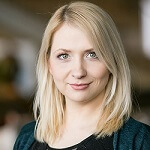 The Eternal Riches feature gives players between 5 and 10 free spins while Cleo’s Parade will give you 5 free spins with a stacked wild column that progresses across the reels after each spin. Cleo’s Wish is a great title that is well worth a spin.